Banh Mi is a traditional Vietnamese sandwich made with barbecued pork and pork pate. This meatless version from Wholehearted Eats replaces the pork with soy and ginger seasoned tempeh, a fermented soy bean cake. 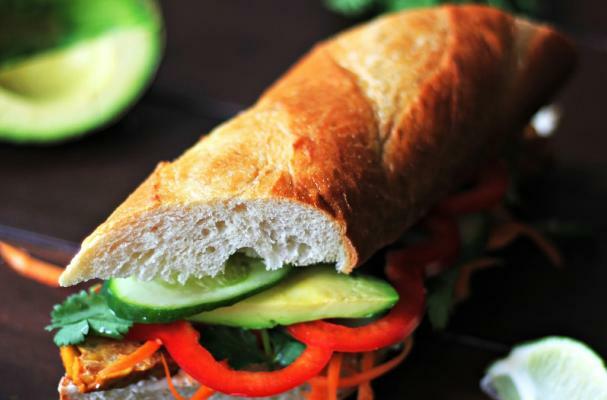 A crusty baguette is stacked with the tempeh along with pickled carrots, avocado, cucumber and cilantro. This sandwich is so packed with flavor, you won't even miss the meat! For full recipe instructions, click here.